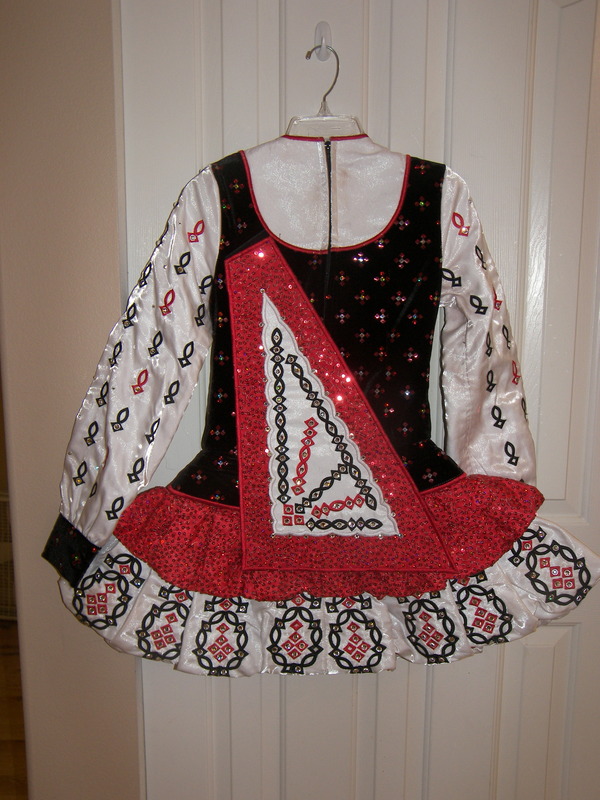 Siopa Rince made for 2009 Worlds for petite teen dancer (approx. 5′3″, 110lbs, short-waisted, long arms) in excellent condition. 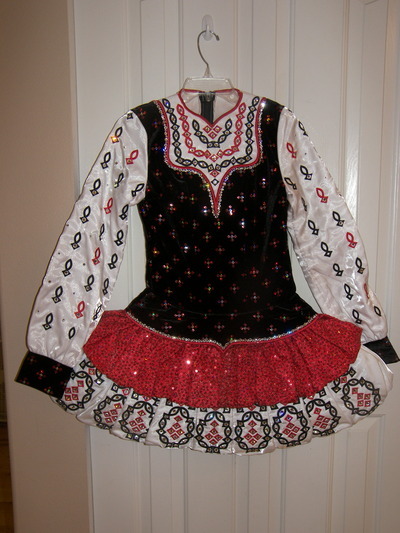 Lightweight black velvet bodice with red/black accents, double bubble skirt with elegant embroidery and matching embroidery on sleeves. 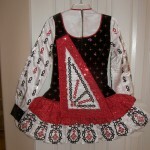 Swarowski crystals on skirt, sleeves, neckline, cape and waist for sparkle. Sleeves have velcro cuffs so that sleeve length isn’t an issue. 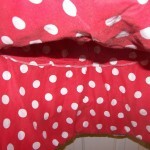 White polka dot underskirt to add a bit of fun! Dress being sold only because it is too short. Very well cared for in nonsmoking home. 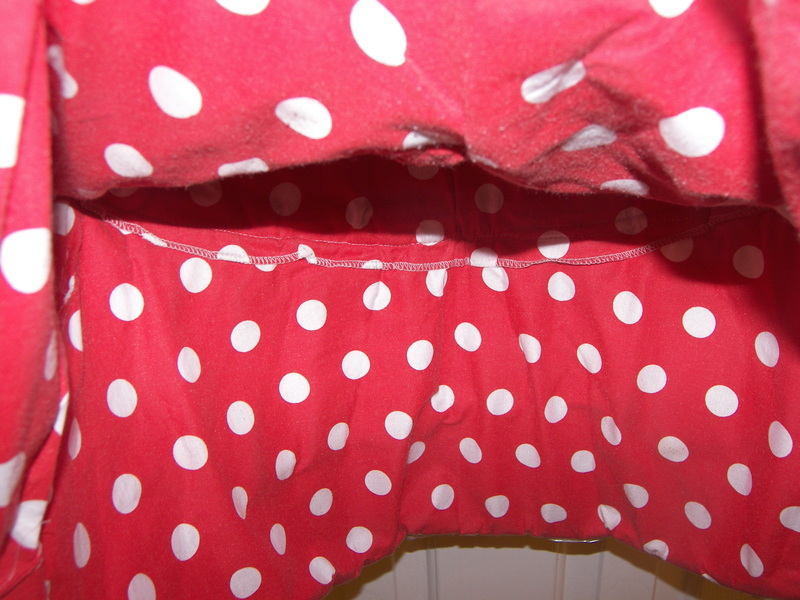 Includes matching spankies. Includes shipping in U.S. Overseas please add $50US for 3-day FedEx shipping. More pics & measurements if you need them.